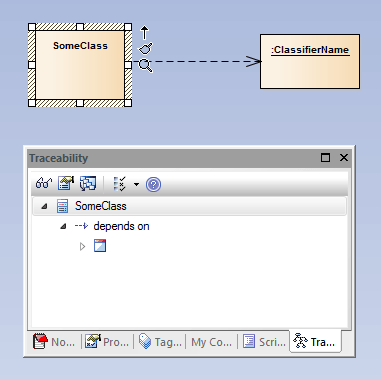 This example EA-Matic script keeps the names of objects synchronized with the name of their classifier. 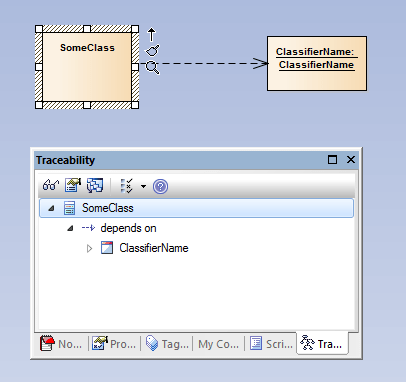 When modelling with objects the name of the object is often left empty because it doesn’t have any significance at that point. One of the downsides of this practice is that in things like the traceability view, or in the links view the object shows up without a name, which of course doesn’t help much. One of the solutions for this problem is to give the object the same name as its classifier. But that is a manual tedious process, and in case the classifier changes name you have the change the name of all the instances. The script ensures that the name of the instances is always the same as the name of the classifier. Note that we need to use model.toArrayList to convert the C# List<> that cannot be used by VBScript to an ArrayList that can be used. There are two events that we use. EA_OnNotifyContextItemModified to react to a name change of either the object or the classifier and EA_OnPostNewElement to change the name of a new object immediately after it has been created.